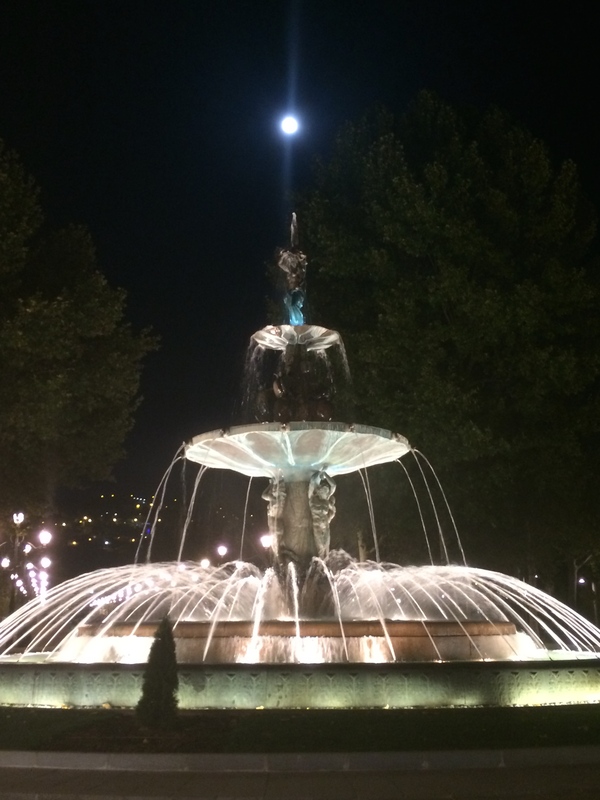 On the way home from a bar with some friends last night, I took a photo of this fountain. I often walk past it but what with the moon, the lights and the water last night, it particularly caught my eye. We often get caught up in our everyday lives not noticing the everyday things that surround us. So every now and again, it’s nice to be reminded that there are beautiful things around to inspire you when you least expect it.